Donna Newman has been running estate sales since 2006 in the Two River Area. She meticulously organizes, plans and executes every detail, so that you don't have to! Donna cultivates a friendly environment for customers while conducting a professional and profitable estate sale. She holds a Master's Degree in Educational Counseling, is an Accredited Staging Professional and is fully insured. Donna is the mother of a daughter working at Expert Admissions in NYC, a daughter attending Gettysburg College and a resident of Fair Haven, NJ. To be really successful in a client service business you must be competent and likable. Donna is one of the most likable and competent persons that we have met. Selling most of the furnishings from your long time family home is an emotional and daunting experience. Donna's compassion, energy and extensive knowledge on estate sales made it easy and comfortable. She expertly handles every detail - sorting, pricing, advertising, staging and cleanup. Simply said, Donna is the best! When our summer house sold before it actually went on the market, we looked at each other and said, “What do we do now?”. Of all the decisions we made over the next several weeks, one of the best was deciding to work with Donna to the Rescue. She walked into a house where some furniture was going to storage, some was being sold to the new home buyer, some was being moved to our home in Florida and the rest was for her to sell. She handled it all and as we were 1100 miles away she prepared the house for our real estate closing. What was most impressive was her management of the “total picture” in our absence. We are on to our next adventure and could not have done it without Donna Newman. After we sold the home our parents lived in for a long time, we realized they had accumulated a lot of stuff. I did not know how we were going to deal with everything there. Donna to the Rescue came in and did a terrific job as she was professional, organized and thorough. The burden was removed from us and we were extremely pleased with the result. Thank you for all of your efforts Donna! Donna organized our estate sale meticulously and took care of everything from start to finish. Our family lived in our home for 20 years, and the thought of organizing all of the items we wanted to sell was overwhelming. We contacted Donna and were immediately won over by her personality and professionalism. We truly could not have managed this process without her. From researching our artwork, organizing our hundreds of items, and pricing everything appropriately. Donna was a dream. Donna is a life saver! We couldn’t have pulled off our move without her expertise, organizational skills and attention to detail. She took the stress off our plate and ran a successful sale while we were busy unpacking boxes elsewhere. She really did come to our rescue! While preparing for a corporate relocation to California, we were overwhelmed by the amount of belongings that our family of five had accumulated. Donna came highly recommended to us to organize a professional estate sale. She worked tirelessly to organize, stage, photograph and price everything - when ready, our home looked like a high-end store with a boutique in each room! Donna and her team expertly setup, advertised and executed our huge three day event, attracting a large turnout of buyers and resulting in a very successful sale. Donna's energy and enthusiasm are contagious and helped to destress our cross-country move. For everyone who is overwhelmed by the idea of an estate sale, relax and call Donna. She will make the entire process feel simple, manageable and stress-free. It is clear that Donna is an expert when it comes to this type of thing. She is so organized and efficient that, like me, you may wish she could organize the rest of your life too! Donna was a lifesaver! We recently moved from a 4 bedroom home in Middletown to a 2 bedroom condo in North Carolina. We were not prepared for how overwhelming, stressful and sad it would be to part with 27 years of belongings. Donna meticulously took charge. She spent days prior to the sale photographing, staging, pricing and advertising everything. Needless to say, the sale was a great success! “Donna to the Rescue” truly rescued me when I had to empty out an entire house in a very short time. Since I no longer live in the area, I flew in to meet with Donna to arrange an estate sale. She planned, advertised and executed the sale and sent me a check when it was over. What could be easier! When we were selling out home of 20 years, we knew we wanted to sell all our furnishings as well. We interviewed several people, but Donna was the only one we connected with emotionally, which is an important component when one is parting with such personal things. Donna is a professional, extremely hard-working, and she got the job done. We recommend Donna to the Rescue wholeheartedly…she’s the best! We recently had a very successful estate sale thanks to the tireless efforts of Donna. She was very helpful in getting us past the emotion of parting with decades of treasured belongings and deciding what to sell and what not to sell. She has a wonderful, easy personality and is just a great person. Donna really did come to our rescue as she efficiently and very respectfully helped us as we sorted through fifty years of accumulation when selling our childhood home. It was a challenging time and Donna couldn't have been more pleasant and reliable, quickly and clearly responding to questions and requests. We felt completely confident in her very capable hands. Breaking down a house of 25 years is beyond daunting so a friend suggested that I call Donna to the Rescue. What a relief! Donna breezed in and, in a couple of weeks, just made it all go away. It is a pleasure to work with Donna. Positive, creative, and with a welcome sense of humor, she convinced me that my goals were attainable. Donna of “Donna to the Rescue” should be canonized. She gracefully took our family’s accumulations of 27 years and turned it into a very successful estate sale. I would say, she turned water into wine! Bravo Donna! “Donna To The Rescue” is an understatement! Donna handled every aspect of our estate sale to perfection. Her dedication, honesty and hard work made a very difficult task so much easier. We wholeheartedly recommend her services. Donna to the Rescue and her crew were extremely professional and worked with us every step of the way. From staging to pricing, Donna made us feel comfortable opening our home for the sale. Donna also has a huge following which brought traffic directly to the sale. I highly recommend Donna to the Rescue! 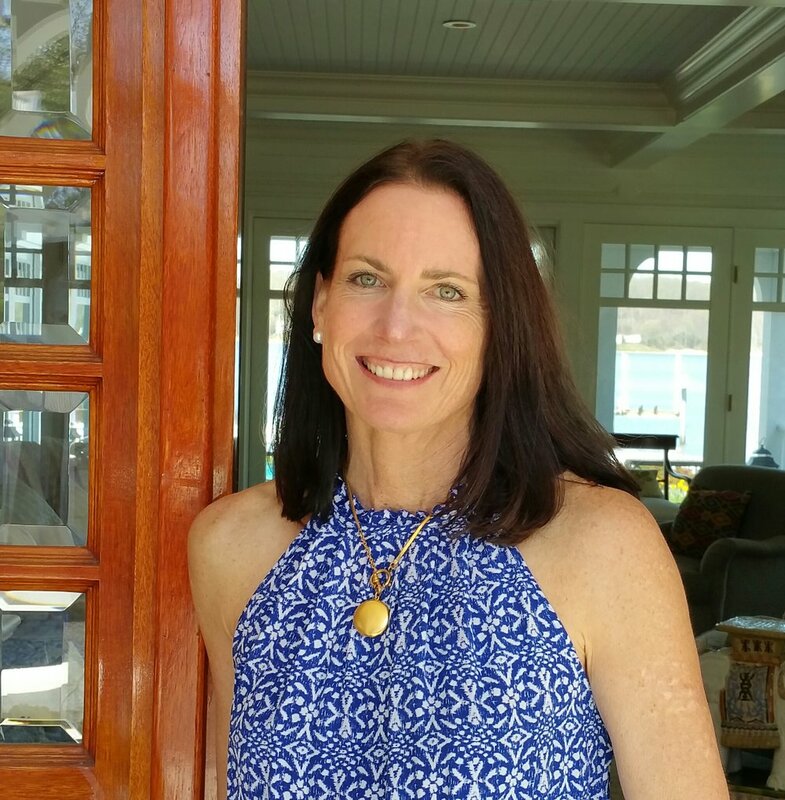 Donna’s name came to us from our realtor when we sold our summer home in Monmouth Beach. We were ready to hire someone else to handle the estate sale, but when we met Donna we knew we had found the right person. Donna handled everything from the pricing to the set up to the advertising to being there from morning to night on the sale days, dealing with buyers and handling deliveries and clean-up. Because of Donna it was my kind of no hassle move. I highly recommend her for her honesty, knowledge and work ethic. Donna helped me turn 35 years of accumulation and clutter into a profitable and stress-free event. I couldn’t have done it without her. She is the absolute best at what she does. Donna to the Rescue performed a marvelous service in conducting an estate sale for my family. She was very well organized in both physically setting up the sale and in attracting a large crowd of prospective buyers. This effort brought about the successful sale of most items, generating significant proceeds. For disposition of unsold items (which was not a lot), Donna arranged for a clean-out. Personally, I found Donna to be cheerful, dedicated and a pleasure to do business with. Donna to the Rescue changed what was feeling like a nightmare of emptying our home of 40 years to a breeze of fresh air. She took care of everything with thoughtful, pleasant kindness. She is the best! We are filled with gratitude. The name of the company could not be more fitting! Donna to the Rescue most certainly came to our rescue when my parents moved out of their home and we were left with the daunting task of emptying it. Not only did she make it easier, she made it fun! Thank you Donna for easing the burden! I am so grateful to have found Donna to the Rescue to handle the estate sale for my parent's home in Fair Haven. Donna handled everything efficiently, professionally and thoughtfully. She has a lot of experience, a great team, and seems to know all aspects of the business. I would highly recommend her to anyone else in the same situation! While preparing for a move to Florida, we became overwhelmed with the daunting task of deciding what to move and what clutter to remove from our lives. Donna came recommended to us as a competent, dependable and reliable person to help disperse with years of STUFF! She worked tirelessly to organize and successfully execute our house sale. She made a commitment and followed through with professionalism and enthusiasm. Donna did a great job with the publicity and marketing for my estate sale. She and her staff were professional, so pleasant and helpful. Truly a great group of people to help ease your moving experience! Thank you! We highly recommend Donna To The Rescue!! Donna to the Rescue is truly a lifesaver! I recently sold my home with some serious downsizing and Donna handled the estate sale for me. Amidst all the stress of sorting out, moving out and house closing, Donna was the one life saving buoy I hung onto. She was knowledgeable, professional, flexible and was always there to help me out no matter what complications arose. This whole experience would have been far more stressful without Donna. Given the work and hours she put in, I also found her to be quite reasonable. Donna handled our estate sale and it was so successful due to her organization and great work ethic. She did an amazing job advertising and getting the word out there about our sale. We so appreciate how much she did for us to make our sale incredibly worthwhile. It took the stress off of us knowing that we could place our complete trust in Donna’s knowledge and expertise. I tried to clean out my parent’s house with the help of family and friends while working full time. It was a slow process and it became increasingly more stressful. After injuring my knee, I finally realized I needed help. That’s when Donna “came to the rescue.” Right from the first meeting, I knew I made the right decision. She was professional and worked fast while keeping me up to date with everything from the organizing of the house to the estate sale and the final clean out. She was also very understanding and truly cared about our family’s feelings during this sometimes emotional process. Thank you Donna! Copyright Donna to the Rescue Inc. 2015. All Rights Reserved.